What? Just a little late you’re thinking, right? Well, probably. But I didn’t get any pictures of the tree posted prior to Christmas. Our custom is to leave it up til after New Year’s Day and this year I had to go back to work on January 2. I was thinking I might never get it down when I remembered reading about the Twelfth Night. I’ve always thought, as probably a lot of people do, that the Twelve Days of Christmas meant the days before Christmas. Well, come to find out, it’s actually the twelve days after Christmas! 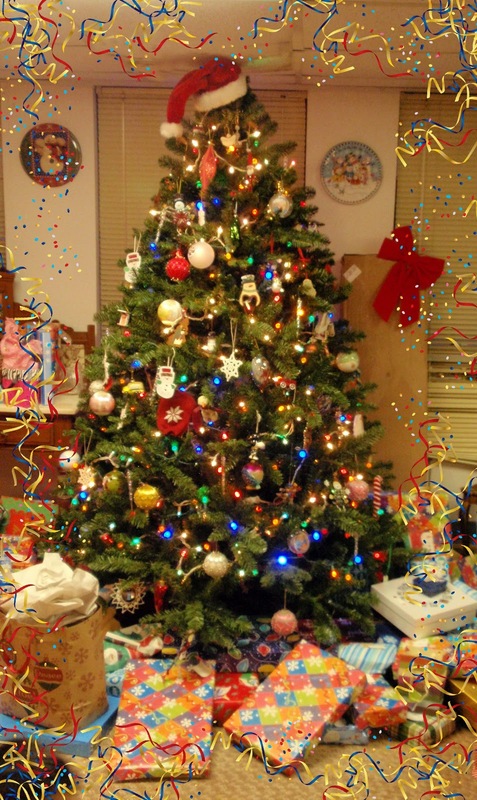 In the olden days, the Twelfth Night to Epiphany morning was the traditional time to take down the Christmas tree and decorations. I’m not so behind after all! Three cross stitched candy cane holders. Made by the mother of one of my former students, now a friend. Intricate. Admittedly, I’m not always the most prompt in taking down the Christmas decorations. First off, it’s like the little red hen around here. I don’t get a lot of help, either putting things out or gathering them up after the holidays. Working 11 hours a day then doing it in my ‘spare’ time doesn’t always warrant a fast pickup. There have been some years the tree and decorations were up way past Christmas. In fact, I think it was around June last year when I spied a snowman (the tree was down at least!) I’d forgotten to put away. It doesn’t really matter because nobody comes out here so my secret is safe! Nevertheless, I was pleased to find out about Epiphany, even though I might stretch it out another twelve days! My grandmother crocheted the ball ornaments. She said she didn't have a pattern and each one is just a bit different. The others are just an assortment of things I like. I made this little angel years ago. She probably qualifies as an antique! Can't see well but one of my favorites. One year I was supposed to get a rocking chair and it didn't come so my mom and dad gave me this ornament to let me know. Inside is a rocking chair, presents, doll, and toys. 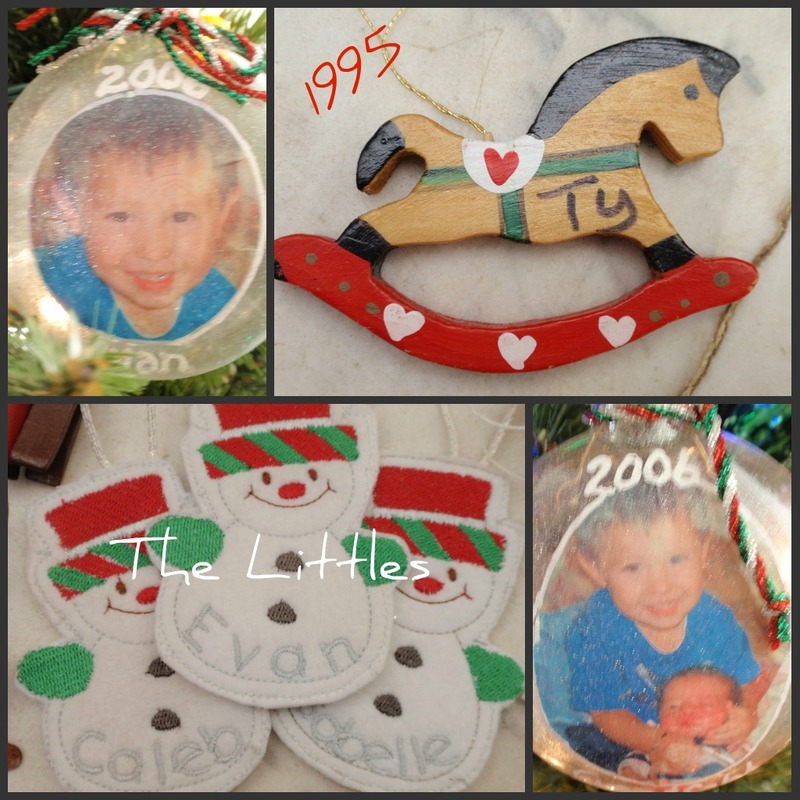 Some family ornaments. There are many. And no, I didn't forget you Bryce and Callye! Camera acted up. As I’m taking the ornaments off, putting them in their packages, in a box, for next year, I remember where each one came from. They are good memories but the whole ordeal has an air of sadness. This Christmas is over. We had a white Christmas this year and everyone came here. Those memories will go in the box with the special ornaments. I look at the individual baubles, those marking ‘first’ Christmas, those marking life events and those handmade with love. Some I made, some were gifts and some were put together by little hands in school. Our tree is decorated in patchwork. 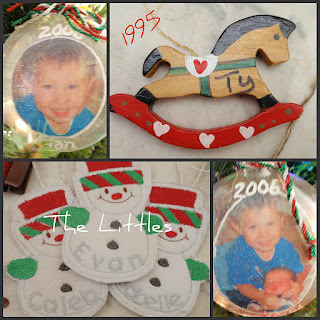 Each ornament is connected to the others in a crazy way creating a blanket of memories. I’ll pack the ornaments away and rediscover the delight next year when it all comes back out. Your gentle spirit teaches us. I’m almost finished with the shawl. She may have to do the blocking, but at least the knitting will be done. I really want to start something new. Or maybe several somethings! But I’m being good. So far! On the downhill side! It'd go faster if I'd quit messing up! I posted a status on Facebook and promised to make something for the first five people who commented. I got a lot, really fast, which surprised me. Anyway, I took all seven. I’ll be making something for Debi, Rachel, Marivel, Carla, Charli, Katie and Amy sometime during 2012. It’s kind of exciting! And it snowed today. That would make it all right to leave the snowmen out for a while. It sometimes even snows in February, right? I feel the same way about ornaments. I love looking at each of them and remembering their stories. I used to want a fancy "matching" tree, but I realized that is no fun. Wow I'm glad to hear that Miss Bee! Got a wedding this weekend so won't have it all down. I may just make Feb 2! One year I decided to have an all blue tree, none of our regular ornaments. Nobody liked it at all! 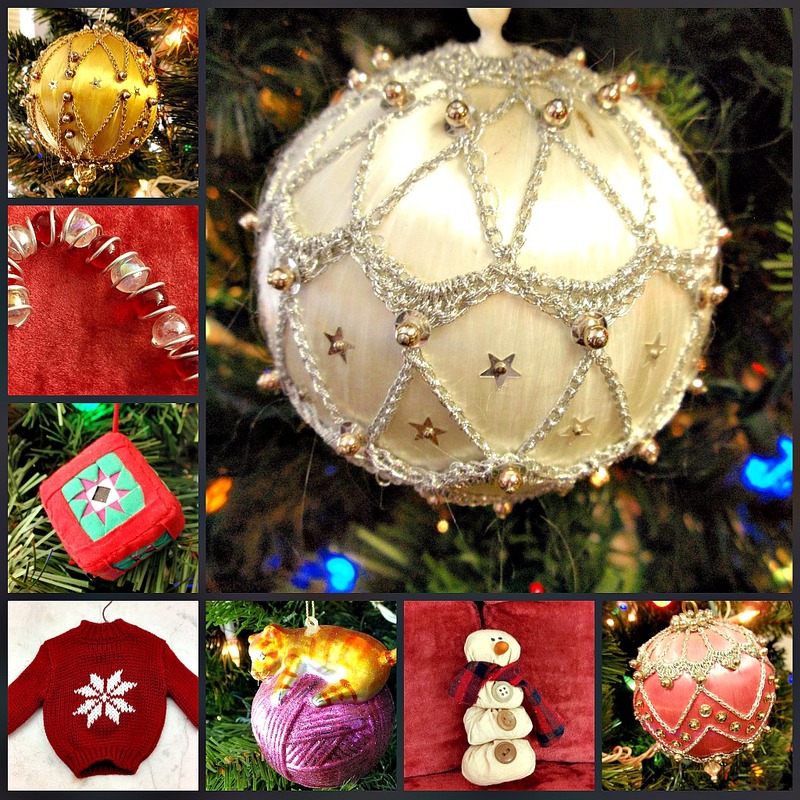 We have enough ornaments to do two or three probably! Love your tree & the sentiment behind the ornaments. Ours is the same way....so much history with the ornaments. @Beverly...did you give your daughter her ornaments or do you keep them all to hang on your tree? @Giselle...that is cool! And it's good to know. Makes me wonder how it's celebrated in other countries as too. Thanks for sharing!